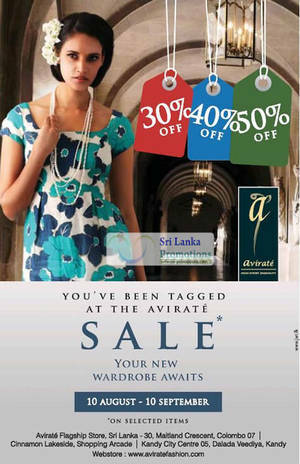 You’ve been tagged at the Avirate Sale and your new wardrobe awaits! 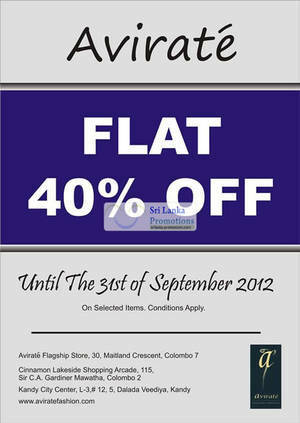 Enjoy up to 50% off at the sale happening from 10 August to 10 September 2012. 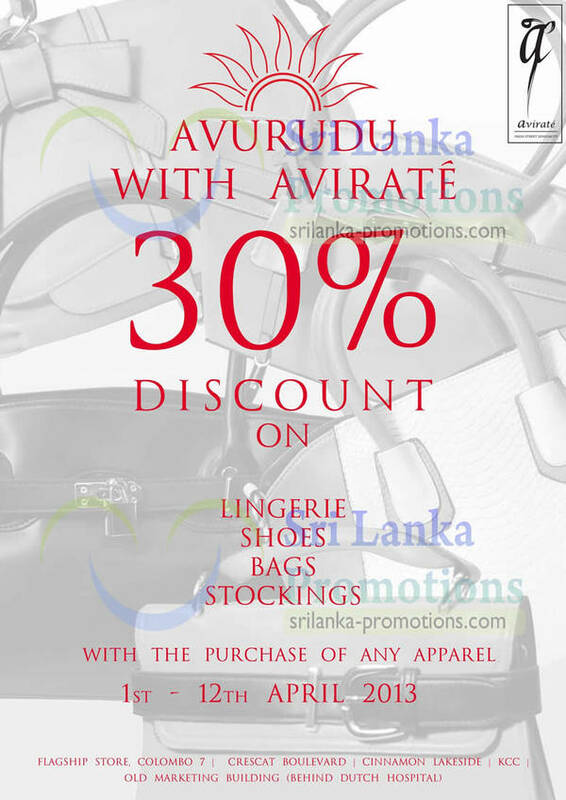 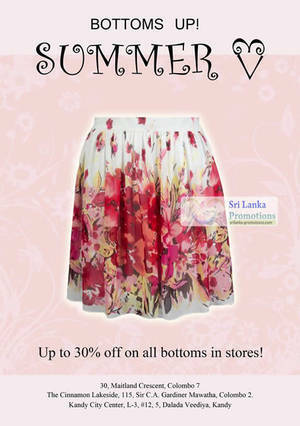 Avirate is having a Summer Love promotion with up to 30% off on all bottoms including skirts, leggings, pants, jeans and shorts, available at all its outlets!